The graduation gown, cap and tassel have been the traditional graduation wardrobe for generations. In fact, even the youngest graduates wear them to kindergarten graduation. At Gradshop, we make sure to attend to all the needs of even these cute little graduates to make sure they look their best and feel their most confident during their graduation ceremony. Our wide array of kindergarten caps feature an elastic head band to ensure each cap fits the child's head securely and comfortably. 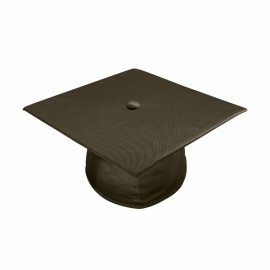 To make sure the cap maintains its outstanding form, a special fabric is used in the cap's internal structure. 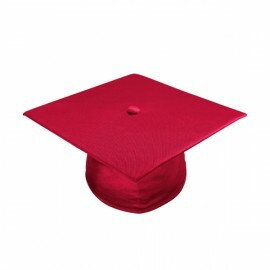 A raised button, on the other hand, holds the tassel securely in place. Gradshop's kindergarten graduation caps are skillfully crafted using fine, silky fabric certain to give your young graduate the look that stands out from among the crowd. 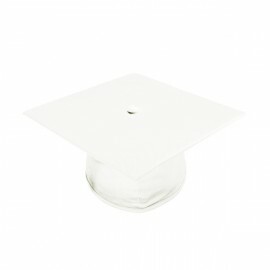 We've got an amazing array of graduation cap colors to choose from. From black kindergarten caps to classic white kinder caps, to vibrant colors like shiny gold, pink, navy blue, forest green or even maroon, you can rest assured we've got everything covered to make your child's kindergarten graduation even more special. Shop at Grad Shop to buy all of your kindergarten cap and gown packages for your childs big day.